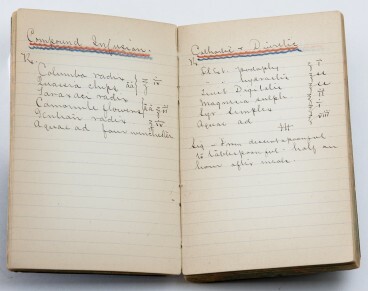 In the 1800s medical students and physicians often kept lecture notes and practical information in small bound notebooks. 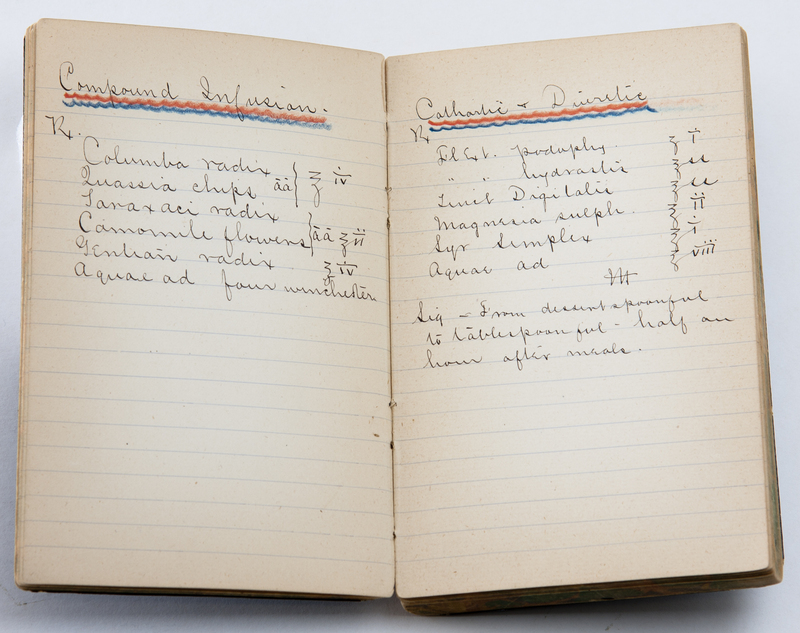 This particular volume contains handwritten recipes for medications, financial accounts, and personal comments. 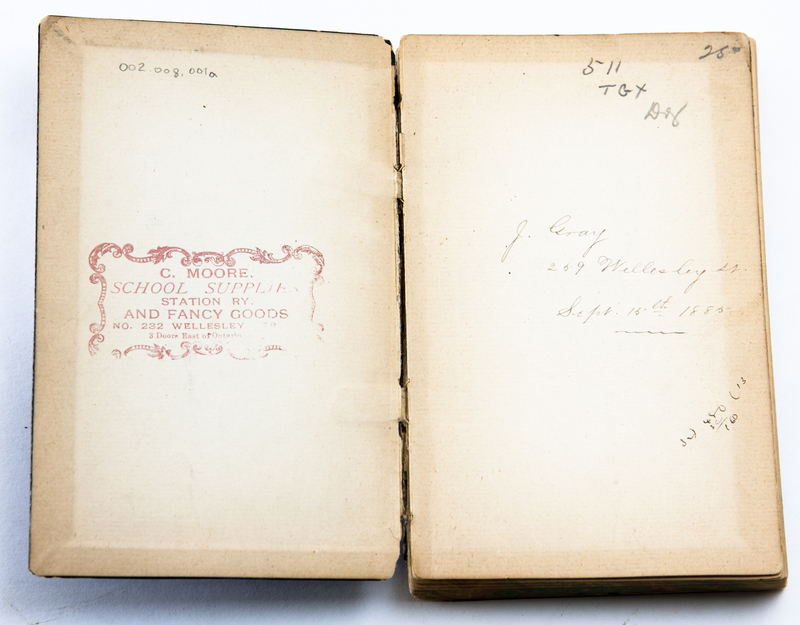 This book is also important for its association with its first owner. Dr. Jennie Gray Wildman (c 1863-1953) is a member of the first generation of women doctors in Canada. Born in Dundas, Ontario she was an early graduate of the Ontario Medical College for Women in Toronto in 1892. 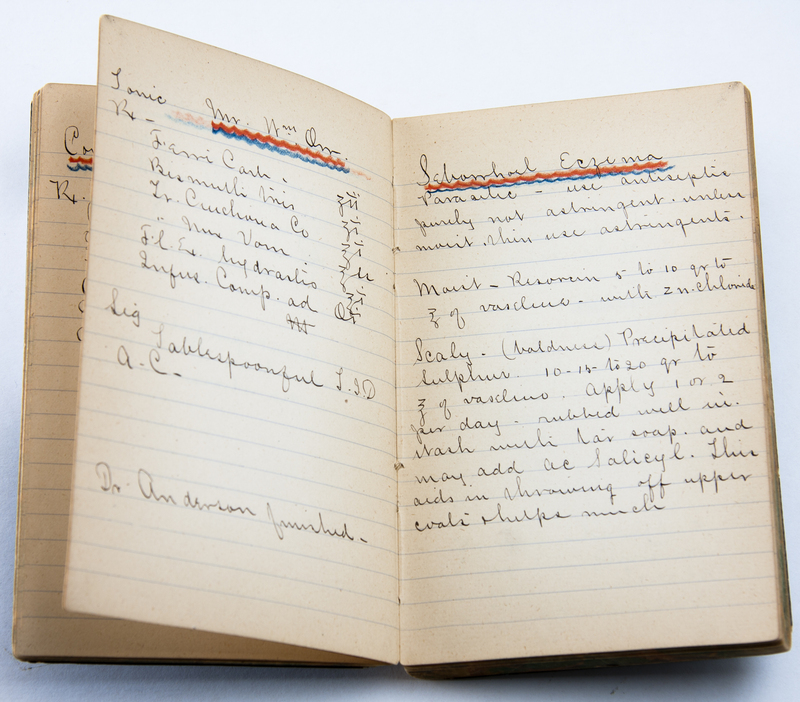 In 1898, the college opened the first clinic for women with Dr. Wildman as co-director which she did in addition to her teaching duties at the college. By 1911, this clinic had evolved into Women’s College Hospital, the only hospital in Canada staffed entirely by women; it served an exclusively female clientele until the 1920s. The hospital also provided positions for women doctors in an era when few existed in other institutions.